There isn’t a one-size-fits-all option when it comes to educating children. Lucky for you, you can find your perfect fit in Middleburg. Whether you’re looking for a Montessori school or a liberal arts-based private school, Middleburg has someplace that will fit your family’s needs. Find your perfect school today. Founded in 1914, Foxcroft School is a college-preparatory boarding and day school for girls in grades 9-12 with a mission of helping every girl explore her unique voice and develop the skills, confidence, and courage to share it with the world. Unique learning experiences; an uncommonly beautiful setting in which to learn, grow and thrive; and a warm, residential community comprised of 178 girls from 14 countries, 23 states, and the District of Columbia support this mission. The school offers 74 courses, including 16 Advanced Placement classes, and a STEM program that inspires girls to pursue disciplines traditionally underrepresented by women. Foxcroft fields athletic teams in ten sports, including a two-time state champion lacrosse team and has a nationally known riding program. About one-third of the students receive financial assistance; 21 percent are international students, and 15 percent are U.S. minorities. Hill School is a Junior Kindergarten through Eighth Grade co-educational day school. Hill was founded in 1926 and is accredited by the Virginia Association of Independent Schools. Hill’s commitment to seeing each student grow and succeed on their own individual path is what makes Hill School unique. 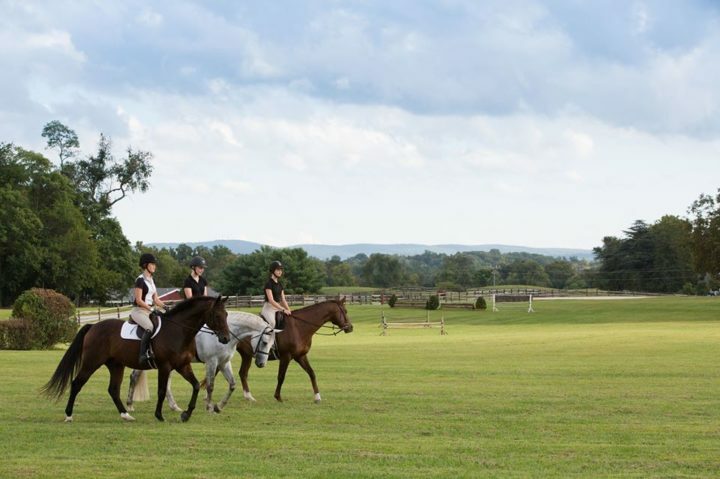 Loudoun County’s only independent school serving grades 8-12, Middleburg Academy inspires students to achieve excellence in academics, the arts and athletics. It is a dynamic community of students, faculty/staff, parents and alumni dedicated to lifelong learning, service to others, spiritual growth and the success of each student. The school’s mission is to provide a community to develop young men and women of moral integrity who will be responsible leaders and citizens in a diverse and ever-changing world. Middleburg Montessori School has been helping children develop into capable individuals by focusing on their moral, behavioral and emotional development in bilingual Montessori classrooms with children from Loudoun, Fauquier, Frederick and Clarke counties for over 35 years. Wakefield School is a Junior Kindergarten through 12th grade college preparatory day school. Its mission is to provide a rigorous liberal arts education through a challenging, content-rich curriculum and extra-curricular activities, delivered by skilled, supportive, and creative teachers, coaches and advisers. The school’s goal is to develop capable, ethical and articulate citizens who will seek the challenge, make a difference and live extraordinary lives, each in his or her own way.